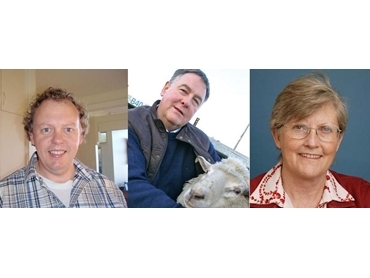 Finalists of the Virbac Proud Achievers Awards were announced recently by Virbac Animal Health in the three categories of sheep, beef and dairy. The winning entrants in each category of the Virbac Proud Achievers Awards will be announced shortly and winners will receive a $12,000 international study tour. The independent judges of the Virbac Proud Achievers Awards say that common characteristics displayed by the finalists include a professional approach, willingness to innovate and recognition of the importance of proactive animal health measures. Speaking of his experience, sheep category independent judge Graham Lean says that the best sheep producers are always looking for ways to improve their operations and embrace change. He adds that ensuring the good health of their animals is vital to their success. Timely disease management is imperative to the overall productivity as it can otherwise impact growth rates tremendously. All the sheep category finalists for the Proud Achievers program have developed drenching programs designed to minimise resistance while gaining the benefit of products like Cydectin to control worms. Some of the methods adopted by these sheep producers include drench rotation and reduction in the frequency of drenching along with breeding for natural worm resistance. Beef category independent judge Heather Burrow says that good animal health practices should be part of every professional producer’s approach. She says that the best producers are those who test and assess new methods and processes to determine what works in their operation. Heather adds that good producers understand the need to invest in animal health since they recognise the long-term benefits in terms of higher productivity and profit. Dairy judge David Beggs, a vet, university lecturer and dairy industry software developer agrees that a big picture business focus is essential. Leading dairy producers are always looking at ways to improve the health of their stock for better reproductive rates and increased milk production. He stresses the importance of animal health, saying there are hidden costs in less productive animals with the additional risk to the reputation of the whole industry when there are adverse welfare outcomes.